Be faithful in word & deed. Not all ideas are black and white. Jesus is the Great Samaritan who enables us to be good Samaritans. God owns everything we possess. Our identity isn’t defined by what we possess. God blesses some to be a blessing to others. Almost half the world — over 3 billion people — lives on less than $2.50 a day, while 80% of humanity lives on less than $10 each day (World Bank 2008). Of the 2.2 billion children in the world, 1 billion (nearly every second child) are born into poverty (UNICEF 2005). Over 25,000 children die every day as a result of poverty-related issues (UNICEF 2007). In one week’s time the number of children who have died from poverty-related causes matches the entire death toll of the Asian Tsunami of 2004. In 2003, 10.6 million children died before they reached the age of five (UNICEF 2005), equivalent to the number of children populating all ofFrance,Germany,Greece, andItaly. In 2005, the wealthiest 20% of the world accounted for 76.6% of total private consumption. The poorest 20% of the world accounted for 1.5% (see chart on next page) (World Bank 2008). Approximately 1.1 billion people in developing countries have inadequate access to water; 2.6 billion lack basic sanitation. As a result, approximately 1.8 million children die of diarrhea (UN 2006). When Christians are asked, What does the Bible have to say about poverty, do you know what the most popular answer is? This understanding of poor shapes how we view images of poverty or talk about issues of poverty. If the poor will always be with us, then it must not be that big of a deal. 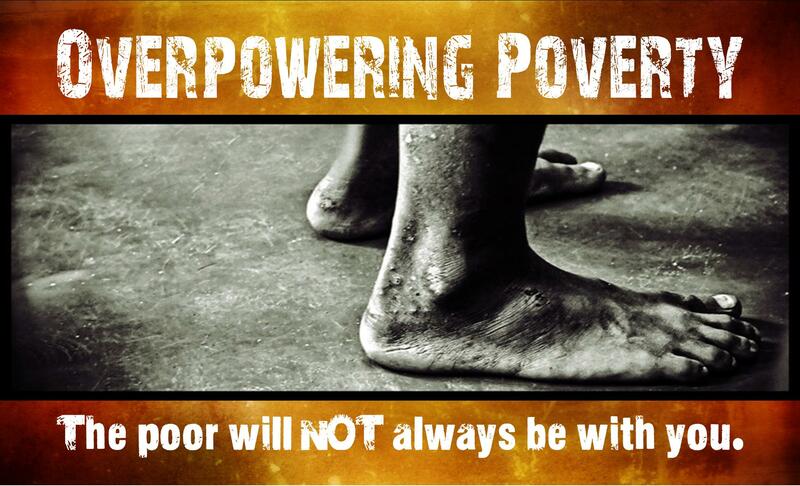 It’s useless trying to eradicate poverty; Jesus said we will always have poor people. Did Jesus mean that poor people will ALWAYS be with us.